Looking after our health and wellbeing is really important, as it determines how we feel about ourselves and influences everything that we do. Wellbeing is simply defined as feeling good and functioning well. Improving your wellbeing can improve your health and prevent illness. What can I do to improve my health & wellbeing? Looking after your health and wellbeing is really important. Wellbeing is simply defined as feeling good and functioning well. 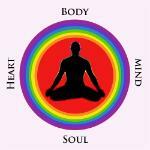 For futher information please visit Five Ways To Wellbeing (internal link). Talk to your GP if you're worried about your mental health, as they will be familiar with your medical history and able to direct you to the appropriate support or treatment. Don't feel worried about going to see your GP, they are there to help you with your mental health as well as your physical health. GPs see people every day who are feeling anxious, depressed or are having problems coping and want someone to talk to. Talking therapies - Anyone can be referred to talking therapies by first discussing their problems with a GP. Talking therapy involves a person talking to a therapist about their problems and difficulties and how they affect their life. Your GP will be able to help you decide which one would be most suitable for you. Involves talking about things that may have happened in the past to help overcome problems that are occurring now as a result of past experiences. Sessions tend to last longer than CBT and counselling. There are different types of psychotherapy and they are all aimed at helping you understand more about yourself, improve your relationships and quality of life. Psychotherapy can be especially useful in helping people with long-term or recurring problems to find out the cause of their difficulties. Seeks to explore the family's views and relationships in order to help understand the problems they are having. The aim is to help family members communicate and understand each other better. It's useful for any family in which a child, young person or adult has a serious problem that's affecting the rest of the family. Can help when a relationship is in crisis (after an affair or relationship breakdown). Both partners talk in confidence to a counsellor to explore what the issues are in the relationship and how to change things. It can help couples learn more about each other's needs and communicate better. Is where people meet all together with the therapist. It's a useful way of sharing experiences and getting support and advice from others who share similar difficulties. It can help a person understand that they are not alone in their experiences. More serious mental health difficulties and problems require specialist care which will mean you may be referred to a psychiatrist and treatment may involve a combination of medication, talking therapies and community support. Eating starchy foods such as bread, cereals, rice, pasta and potatoes are a really important part of a healthy diet. Try to choose wholegrain varieties of starchy foods whenever you can. Starchy foods should make up about a third of the food we eat. They are a good source of energy and the main source of a range of nutrients in our diet. As well as starch these foods contain fibre, calcium, iron and B vitamins. Eat lots of fruit and veg, try to eat at least five portions of a variety of fruit and veg every day. Eat more fish, including a portion of oily fish each week is an excellent source of protein and contains many vitamins and minerals. Saturated fat - having too much can increase the amount of cholesterol in the blood, which increases the chance of developing heart disease. We should all be trying to eat fewer foods containing added sugar, having sugary foods and drinks too often can cause tooth decay, especially if you have them between meals. Many foods that contain added sugar can also be high in calories so cutting down could help you control your weight. Try to eat less salt - no more than 6g a day. Eating too much salt can raise your blood pressure and people with high blood pressure are three times more likely to develop heart disease or have a stroke than people with normal blood pressure. Get active and try to be a healthy weight. It's not a good idea to be either underweight or overweight. Being underweight could also affect your health. Whenever we eat more than our body needs, we put on weight. This is because we store any energy we don't use up - usually as fat.